Whitchurch Pre-School is an inclusive setting; we are determined to open our doors to all families wishing to spend time with us. Our environment is well equipped and our staff skilled and experienced. Access – there is a ramp for access with parking very close by. Within the setting, we have large doorways as well as a disabled toilet. As a pack-away setting, we can respond to needs and adapt our layout to meet children’s individual needs and requirements. Staff – Our Special Educational Needs Co-Ordinator is a skilled and experienced practitioner who attends training and network meetings to keep these skills up todate. 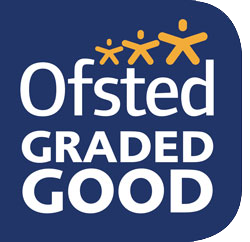 All staff are experienced in helping and educating children, and have a wide variety of skills. Our Pre-School is held to the highest standards and is inclusive when catering for young people with special educational needs, and in order to provide the highest level of care for them. Whitchurch Pre-School has policies and procedures in place to protect young people with special educational needs and disabilities from prejudice and to guarantee inclusion and equality. The following questions may be some you have asked yourselves. How do you know if my child needs extra help, and what should I do if I think my child may have special educational needs? Through observing and recording each child’s development, we are able to track their progress. We are often able to identify if a child needs additional support through our play with them, however tracking their development also allows us to identify if they are failing to develop at the same rate as others of the same age. If you are concerned that your child has additional education needs, there are a number of people you can contact for advice and support. Your health visitor, or you key person at pre-school, will be able to offer parents information and advice, and provide details for other professionals who may be able to help. How will preschool staff support my child? Your child will have a key person assigned to them. The key person is responsible for your child’s well-being, for observing and recording their learning and development and for communicating this information to the parents/carers. Our online learning journey allows parents to receive immediate updates throughout the pre-school day as appropriate. Your child and your family will form a strong, trusting and respectful relationship with their key person. Should the key person be absent, the Manager or other nominate person will act in their place to ensure there is always another member of staff who is aware of the child’s needs and available to care for them. We work closely with other professionals including; Health Visitors, Portage, Speech and Language Therapists, Child Educational Psychologist and the Children’s Centre to support children’s needs. Our Special Educational Needs Co-ordinator attends training courses and is very experienced in supporting children and families. The pre-school will endeavour to provide resources that support the individual needs of the children in our care and adapt activities in order for the child to progress. making appropriate provision within the curriculum to ensure each child receives the widest possible opportunity to develop their skills and abilities, recognising different learning styles for individual children. We will positively reflect the widest possible range of communities in our choice of resources. The curriculum offered is inclusive of children with special educational needs and children with disabilities, and we will work with other agencies to continuously review and improve all learning. All children in our setting are observed and their progress monitored, and we consider the next steps that the child should take to promote their learning. If a child has additional needs, a learning plan will be put into place and parents will be involved in developing this document. Where necessary, we will work with outside agencies who may also provide programmes of activities for a child. Parents will be advised of these activities, if not already known, and will be encouraged to continue the practice at home. Parents will always be aware of dates and times of visits from outside agencies. We will also adopt a communication book to ensure sharing of information and smooth transition for the child from parent/carer to pre-school and back again. Though the learning journey, communication books and informal feedback, parents will be informed of their child’s involvement in activities during session. We will endeavour to provide support for learning at home and share activities and resources wherever possible. Before a child starts at Whitchurch Pre-School, the SENCO or appropriate other, will spend time with parents to ensure we are aware of the individual needs, routines and interests of the child. This will allow us to plan, and if necessary, adapt our environment to provide for the children in our care from their very first day with us. Parents complete an ‘All About Me’ information sheet as part of their registration at preschool, providing us with important information about the child. For example sleep and toilet routines, their interests, likes and dislikes. This enables the pre-school to plan the environment and activities for the child, and make the transition from home to school a happy experience. We encourage visits to pre-school so that children and their families are familiar with the staff, environment and routine prior to the child’s first day. We will liaise with other agencies and carers to gain professional recommendations and in some cases, resources, to enable us to support children with special needs and disabilities. The child will be supported during pre-school sessions with their own views and wishes being listened to and considered. Help with personal hygiene will be given when and where appropriate. The setting promotes healthy eating and there is an area for resting should a child need a break. How will my child be included in activities outside the setting, including trips? Before going on an outing or a visit we will always visit the location to assess it’s suitability and carry out a risk assessment. When assessing locations we consider the needs of all the children in our care to ensure it is a suitable venue and inclusive to all. We have adequate staffing to ensure children are supported during outings and visits. The setting has an outings policy which we follow therefore ensuring every child is included in every trip as stated within the document. How will Whitchurch Pre-School prepare and support my child for the next stage of their education and life? We do lots of preparation for the transition into school, and have strong links with our feeder schools. Reception class teachers and assistants frequently visit our setting in the year prior to the children leaving us to start school. The children visit the primary schools, sometimes accompanied by members of our staff, and we play a strong role within transition sessions. The children also attend school sessions at both our main feeder schools, these being Marshwood and Charmouth Primary Schools, and by arrangements with others. We currently have a local Reception Teacher on our Management Committee, offering advice and support and supporting closer links. To ensure the staff at the next school is aware of the child’s needs, we work closely with the receiving staff sharing information before the child goes onto the setting. This includes transition documents, learning journeys and educational plans. How are our resources allocated and matched to children’s special educational needs? We are a well resourced preschool, and match our resources to children by considering their age and stages of development. When a child joins our setting we consider their interests and developmental needs, matching resources and activities to meet this. The same approach is taken to a child with special educational needs, however we will also adapt the environment to allow for children who require specialist equipment for example a wheelchair. If a child requires special equipment and resources we will endeavour to source these. If a child joins our preschool with special educational needs or a disability, we will work with outside agencies and other professionals to develop educational plans and programmes to meet their needs. If we become concerned about a child in our care, we will discuss this with the child’s parents/carers, and inform them of the actions we would wish to take. Once we are certain that a child has a special educational need and requires extra support, we work with other professionals and agencies to ensure the child’s needs were met. A tailored individual educational plan will be developed for the child in collaboration with the parents, and we will take appropriate action to ensure the child begins to make progress. It may be necessary for the child to receive one to one attention from a member of staff. They will work closely with our Special Educational Needs Co-ordinator, the child’s family and others involved with the child. If appropriate, we would apply for funding to enable us to provide a designated person to care for the child. The type and amount of support provided will depend on the child’s individual needs and could change over time as a child’s condition changes. The child’s progress will be regularly monitored and recorded in their learning journey. We will also ensure regular meetings are held between all those involved including the child’s family, the pre-school and other professionals, to ensure the correct amount of support is in place. How are parents involved in the Pre-School? How can I get involved? Parents are the best source of knowledge about their child, and a great source of support for our preschool and we actively encourage involvement whenever possible. We achieve this through regular consultation, inviting opinions and feedback via questionnaire and our secure box, a ‘stay and play for parents’ rota, Facebook page and an ‘open door’ policy. Parents are invited to join the management committee and have an active say in what happens within the setting. Parents are consulted on all areas of their child’s development and are encouraged to continue programs of activities developed for your child at home. You will have a role in developing education plans for your child. We need to know what other professions who work with your child have said or recommended and so we rely on parents to share information with us after consultations and to keep us informed of any change. You will also be included in meetings with other professionals and we will inform you of requests for any visits from outside agencies to see the child, as appropriate.